All students who attend James River are participants in the Primary Years Program. 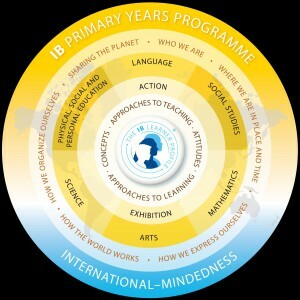 The PYP aims to achieve a balance between the search for meaning and understanding and the acquisition of knowledge and skills. The PYP supports the development of the whole child including academic, social, physical, emotional, and cultural awareness by teaching the PYP attitudes and student IB learner profile attributes. Transdisciplinary program of inquiry connects all disciplines to a central idea that is concept based. Content rich with global perspectives. Delivers VA Standards of Learning (SOL) and WJCC division curriculum. Spanish is taught as a second language to all students. Integrates essential knowledge and skills. Opportunities for service to home, school, and community.